hen. They were killed to eat only when they no longer laid eggs or when three years old when they did not lay enough eggs. Often meat from hens was combined with water to acquire a broth used in Arab soups or stews (tafayas) and was ideal for the sick. 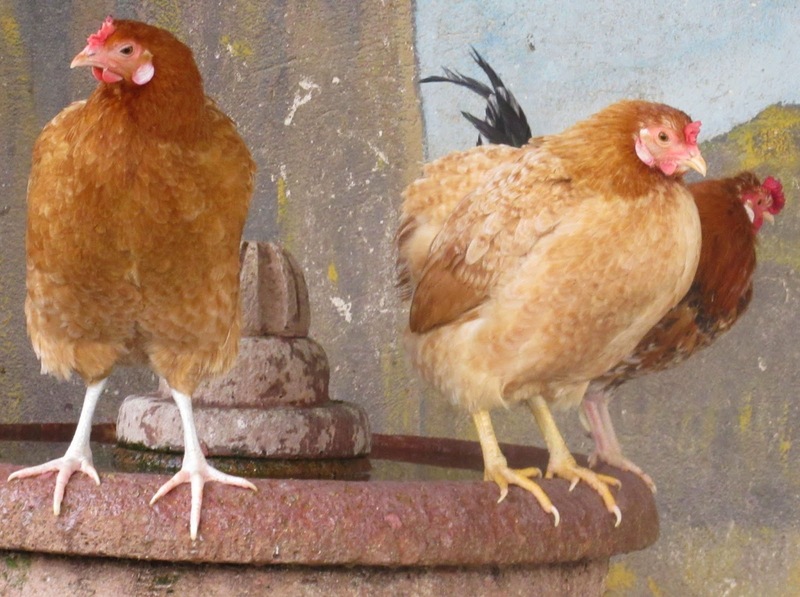 It was thought that although chickens eat the same as the thrush and that the hen’s digestive system transforms that ingested into something good in all its meat as per the physicians in Al-Andalus. Hens were boiled. Roasted, the meat was too tough. Villena instructs that it should be carved like the peacock except the lower part of the wing was not removed and the leg was only cut into two parts, nor is the sternum cut as this is a small bird. The coccyx is served whole as well as the eggs, after shell and delicate membrane covering them are removed. The ovary is left whole. Avenzoar stated that it was amongst the best meats with a dry tendency. 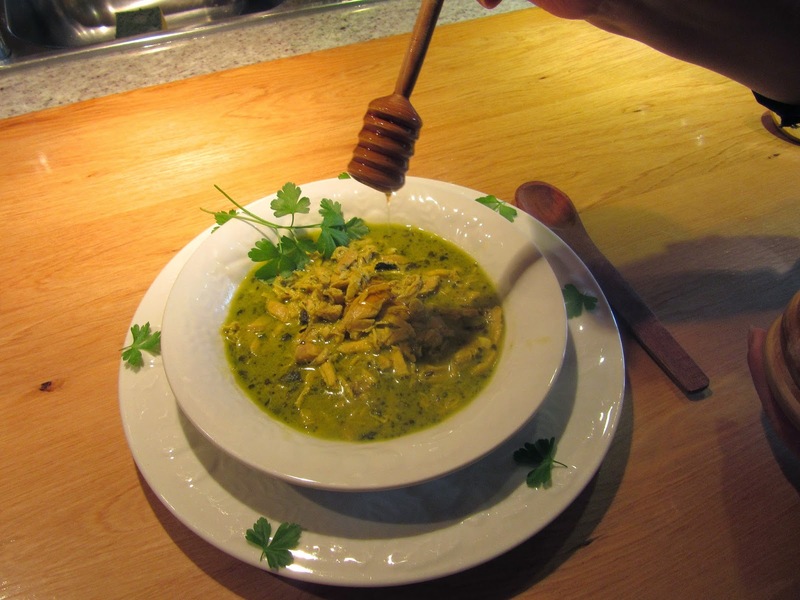 Hen in Pot with Almond-Parsley MilkLending to Mideval Color! Put the leaves from the bunch of parsley in a food processor and enough water to cover the blades. Grind them, strain them and reserve 1 tbsp. Put the rest back into the food processor. Peel the almonds and grind them in a food processor with the rest of the parsley. Make one qt liquid with the parsley water and chicken broth. Add this to the almonds and parsley mixture. 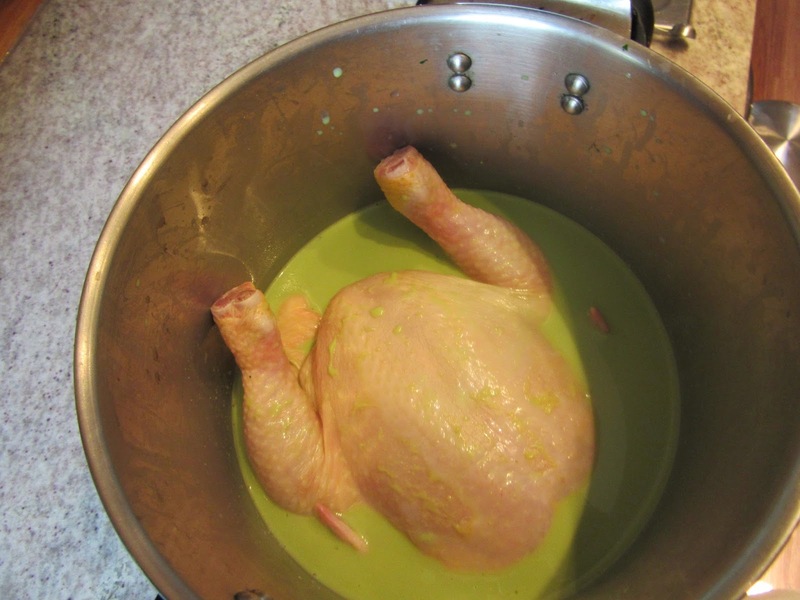 Strain them through a cheesecloth into a pot with a hen and cover with chicken broth. Bring to a boil. Reduce heat and boil gently until done, about 1 hr. When the meat is tender, remove the hen from the broth and shred it, discarding the bones. Put the meat back into the pot. Chop the liver and it to the broth and season it with thyme, sage, mint leaves, saffron, dissolved in a little broth, salt and pepper. Grind the remaining almonds and add them to the pot with 1 tbsp chopped parsley. Bring to a boil. Lower heat, remove the lid and continue to boil for 15-20 minutes until it thickens. If desired add honey before serving. This would be called a thick soup today. What about gallina en pepitoria? Thanks so much for your comment. It is very interesting. Because of the ingredients you would think that pepitoria is a medieval dish. Strickly translated the word “petitoria”, comes from the French “petite oie” (little goose), meaning "goose giblet stew." Today it is chicken fricassée. It seems to be first documented during the rule of Henry IV of France 1553 – 14 May 1610. It is nowadays a fantastic dish made with hen, almonds, wine, saffron and garlic. Unfortunately, in spite of its excellance, it does not seem known until after medieval times.